Great service and professional overall. They did a great job. Was happy to get an appointment right away. The service technician did a good job repairi5my washer, and giving feed back on how to maintain my washer. Horace was professional, knowledgeable and courteous. 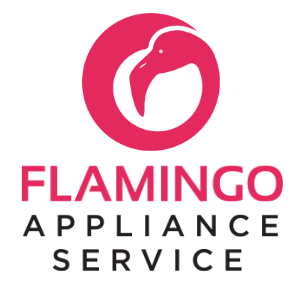 Horace Bull from Flamingo Appliance Service provided excellent service and explained what caused the noise and how to prevent it from occurring again. Technician was knowledgeable and most helpful. Horace searched out my problem and got me back using my oven. The technician was on time, very efficient and professional. 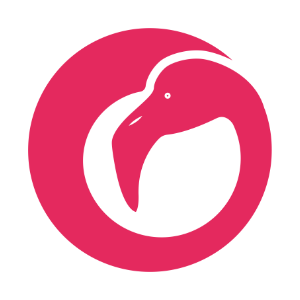 I am happy with the technician and the service provided. WASHER WHIRLPOOL WTW5000DW1 Complaint of not filling or takes too long to fill. F8E1 / Reset control. Cleared pressure hose and ran diagnostics Unit tested ok. Calibrated unit. Filled on normal setting and unit filled in 3 min. REFRIGERATOR AMANA AFI2539ERM02 Replaced ice auger motor. Tested and unit is working. REFRIGERATOR WHIRLPOOL WRX735SDBM04 Replaced water valve and reservoir unit still not dispensing water. Getting 120VAC at valve and good pressure at wall. s/w Mike techline ref # 7724642930 advised to check valve with water line to dispenser disconnected and if water comes out to trouble shoot the water line. Found water line blocked. Steamed and inserted hot water down water line to thaw line. Tested and now unit is working. DRYER AMANA NED4655EW1 "diagnosed one wpl dryer, found out that unit is not heating properly. found out that t-stsat not reaching temperatures for unit and heating element is not glowing as bright. customer declines further services. FCC"
WASHER MAYTAG MVWB835DW4 Replaced housing and tested. unit now filling with water no leaks detected. WASHER MAYTAG MVWC565FW1 "Check one washer not draining enter diagnostic found F8/e1 and f9/e1,ordering control and pump. ; ordrng 1 W10876600 (PUMP-WATER) and 1 W11162438 (CNTRL-ELEC) and 1 WPW10280024 (RETAINER)"
REFRIGERATOR WHIRLPOOL WRX735SDHV00 Complaint of filter not coming out. Advised customer of how to remove filter and replace filter. Unit now working as it should. RANGE WHIRLPOOL WFW9150WW00 Complaint of front left burner coming on and going off. Advised customer on burner settings. Unit is working as it should. DRYER AMANA NED4655EW1 Complaint of clothes not drying. Found lint on the backside of the dryer lint screen. Found air barely opening dryer exit flap outside of building. Advised customer to have venting leading to the outside cleaned. WASHER AMANA NTW4516FW2 Complaint of not draining. No error codes. Diagnostics test ok. Unit is working as it should. REFRIGERATOR WHIRLPOOL WRX735SDBM00 "replaced both user interface and main control board, working good." DRYER MAYTAG MEDB835DW4 "diagnosed one maytag dryer, replaced element, change door around, request from cust. replace thermostat fuse and cut off fuse, and main board working good." OTR MICROWAVE WHIRLPOOL WMH31017FS-1 "work part order. ordering #w10892389; ordrng 1 W10892389 (control, main)"
DRYER MAYTAG MEDB835DW4 "diagnosed one maytag dryer, found that the heating element is not coming on at all. customer also stated that its hard to turn on the power sometimes to the unit. ordering control board element, and thermostat. ; ordrng 1 W11133021 (control board) and 1 280148 (thermostat) and 1 WP3387747 (element)"
WASHER WHIRLPOOL WTW4816FW2 "Check one washer not working found not power to the outlet,check circut braker it is tripped try to reset it will not reset,run an extionsion cord nad test washer operation unit check ok need circut braker replaced unit is connected to a CAFCI/GFCI FCC."